A new vicious close range attacker with a beast-like attitude joins the roster. Following up on its promise to add four new playable characters to the roster in Street Fighter 5, Capcom finally revealed one at EVO 2015 – Necalli, a beastly fighter who uses a primitive but vicious fighting style to take down opponents. Check out the trailer for Necalli below. 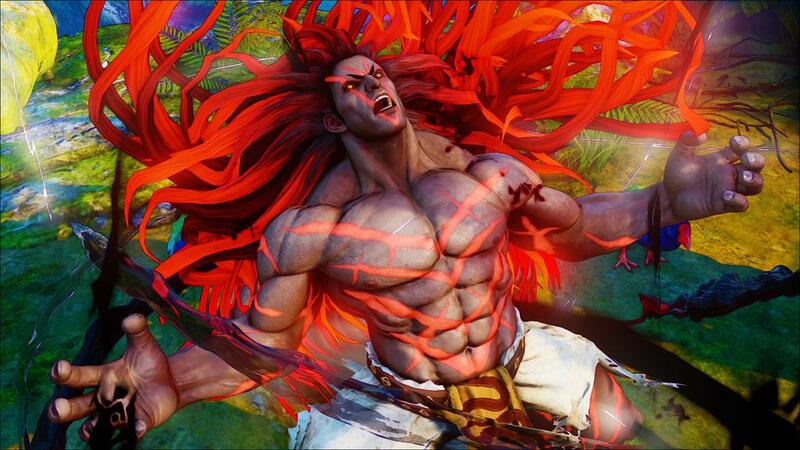 Necalli is interesting because he uses close range attacks combined with various throws. Hitting the V-Trigger causes his hair to flare up, providing new moves and a new critical art to demolish players with. So far, he’s not bad and makes us even more excited about the three other new characters joining the roster. Capcom also revealed during EVO 2015 that Street Fighter 5 would feature free updates and DLC that can either be unlocked through in-game money earned through playing or by paying real world cash for Zenny. Some of the new content after launch will include new characters and any future balance changes will be free for all. Street Fighter 5 is out during March 2016 for PS4 and PC.